Macy's is no exception. The retailer, whose first store opened in 1858 on the corner of 14th Street and 6th Avenue in New York City, announced it would close 100 stores. The announcement was made in August 2016, and represents about 15% of all Macy's department stores. The bulk of those planned closings — 68 stores — were announced after a 2016 holiday season marked by disappointing sales. In addition to these store closings, Macy's also reportedly sold some of the floors of its retail stores, including its massive Chicago flagship store. 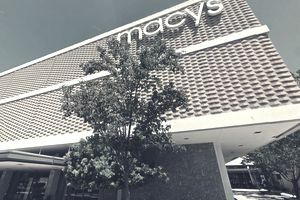 Age, longevity and legacy can be an appealing quality for shoppers, but many of the stores Macy's has closed or is planning to close bore brand resemblance to any of the Macy's flagship stores or the bright, shiny new Macy's stores that opened in 2016. Additionally, The Motley Fool pointed out that many of Macy's competitors are different because specific products — not stores — drive their brand value. It cited Michael Kors, L Brands, Victoria's Secret and Lululemon as examples. In an email, a Macy's representative said: "We are comfortable with the current store fleet and believe that every store has a role to play in our success. The decision to close a store is always a difficult one, and regular, non-seasonal employees who we are unable to place at nearby Macy’s stores will be eligible for severance, including outplacement resources."